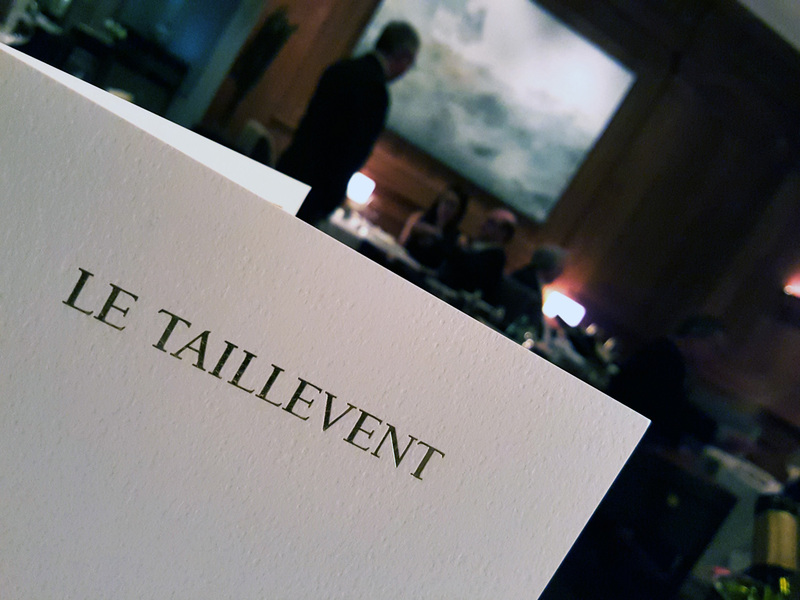 Being a total old school classic cuisine freak I jumped at the chance of dining at Restaurant Taillevent during my visit to Paris. 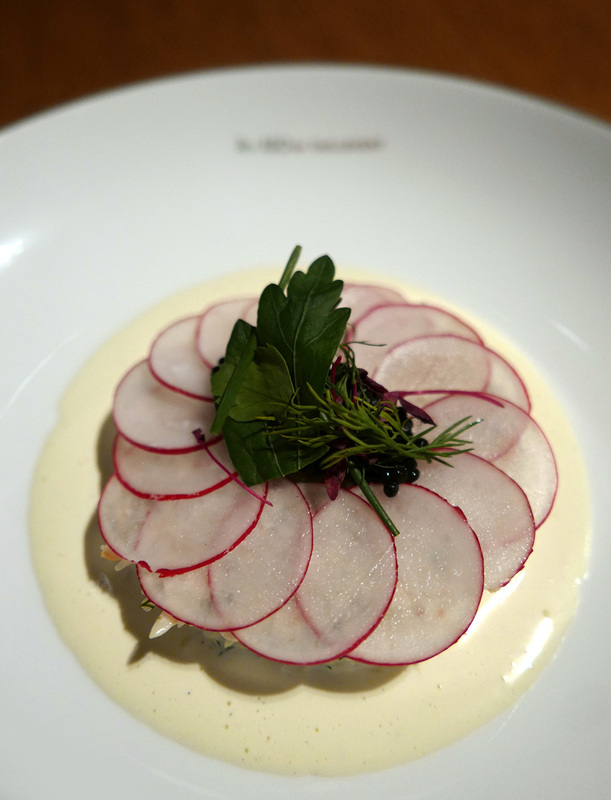 For lovers of highly skilled traditional “proper” French cooking then this is definitely the place to go. A formal service encompassing classic cooking techniques and ingredients , super rich Cream , Butter , sticky robust reduced sauces and luxury ingredients on every plate. 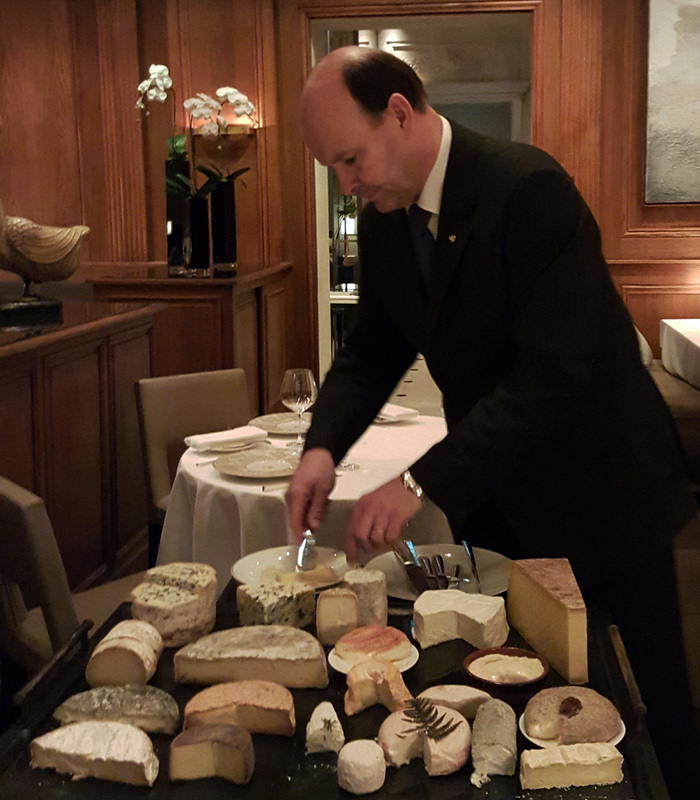 Black Truffles, Lobster, Foie Gras and Beluga Caviar and not a hint of bubbles , foams and Gel cubes…..Oh yes , this is my kind of restaurant. 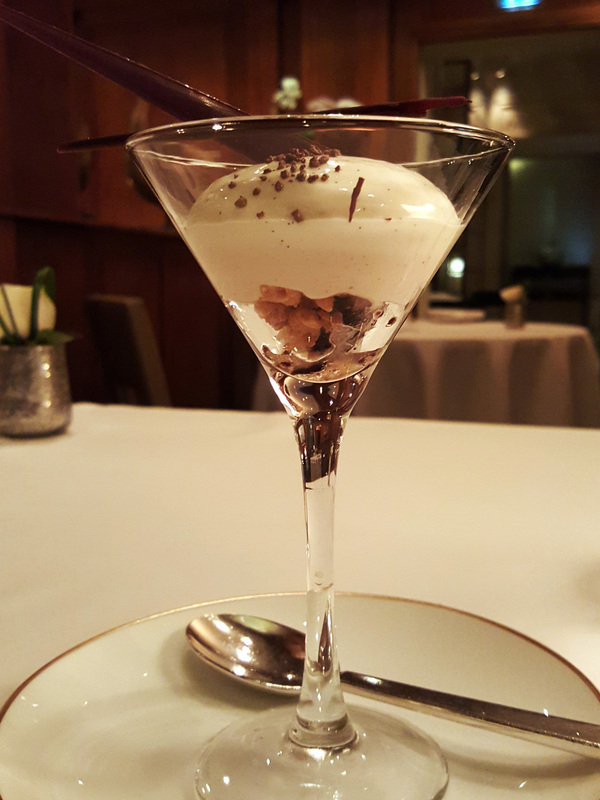 Fine dining at the highest level of care and attention and an experience worth leaving home for. 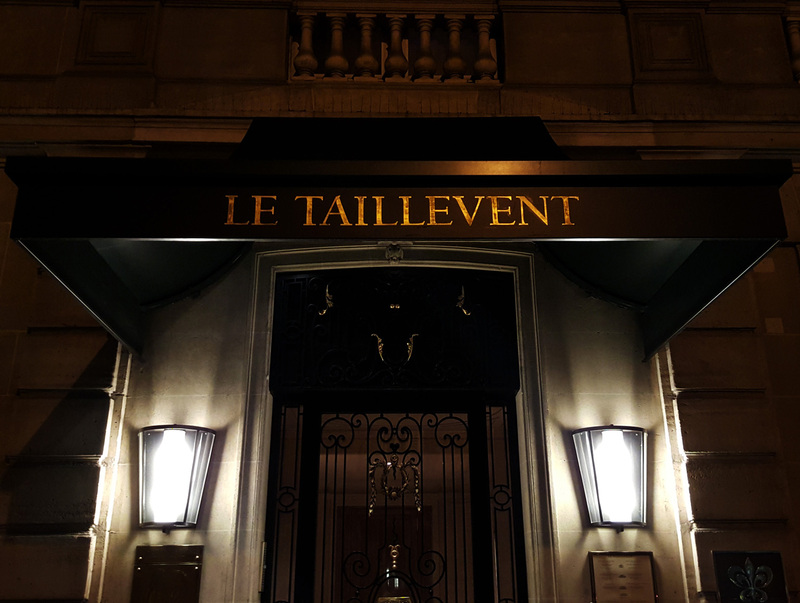 Taillevent Paris opened in 1946 and was awarded its 3rd Michelin star in 1973 , firmly rooting itself in the high end Parisian league of World class restaurants. 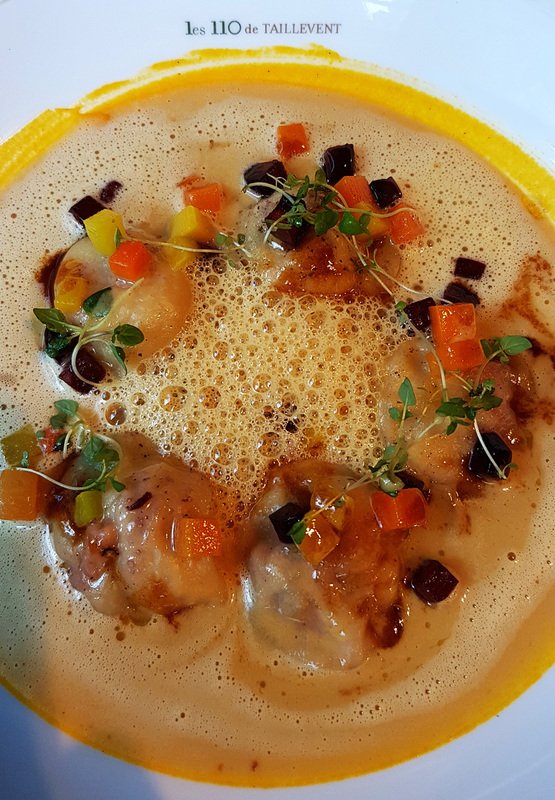 The location of the restaurant is very central and is situated close to the 8th Arrendissement and just a stones throw away from the Arc de Triomph. 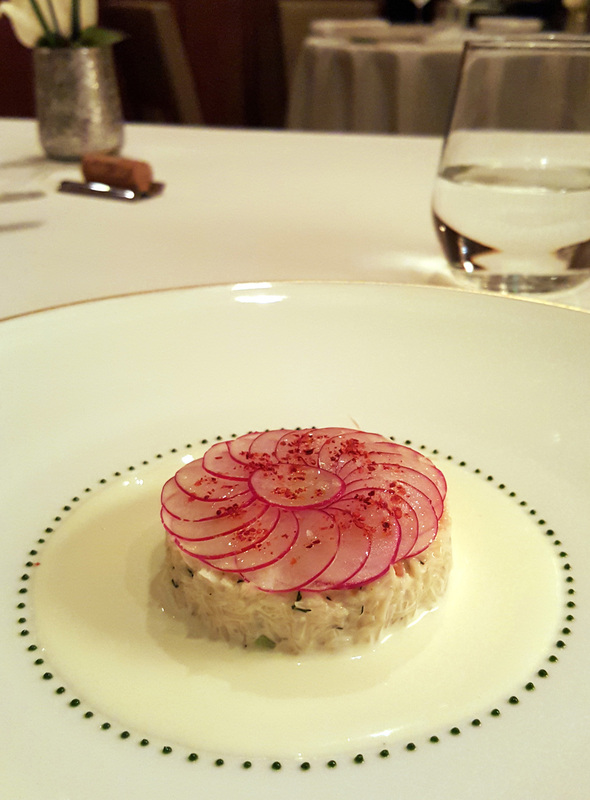 The Chef, Alain Soliveres took up residence in the kitchen of Taillevent sixteen years ago in 2002 and has been solely dedicated to the restaurant since then. 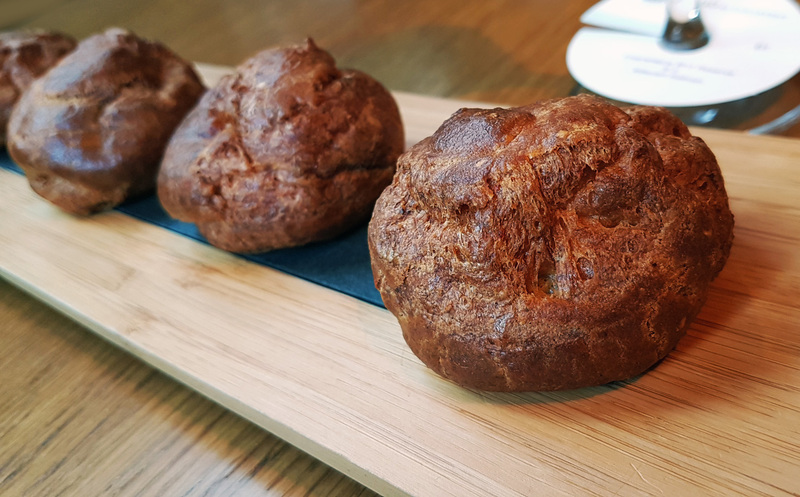 Lunchtime offers good value to the diner and is currently priced at 104 Euros inclusive of Water , Coffee and 2 glasses of Wine. 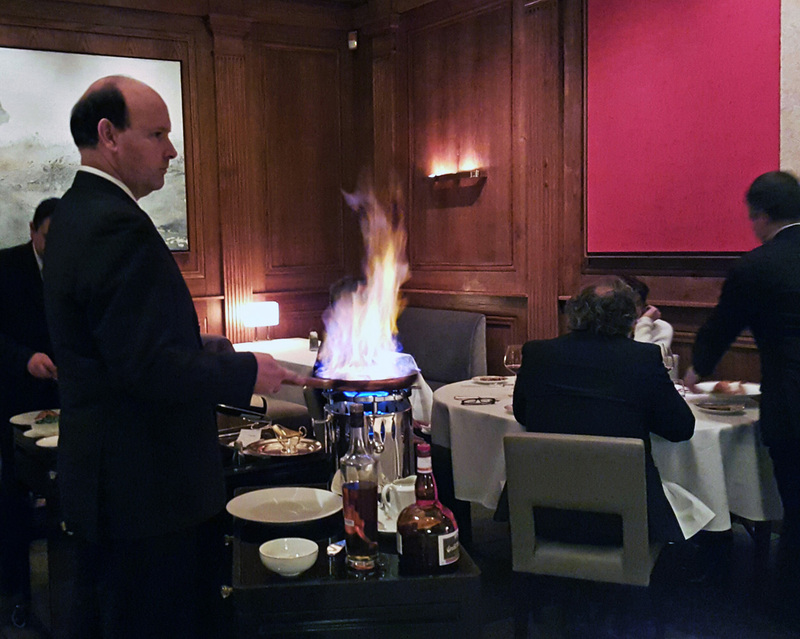 There`s an A.L.C menu available but that`s when the prices are going to hit the diners pocket pretty seriously. 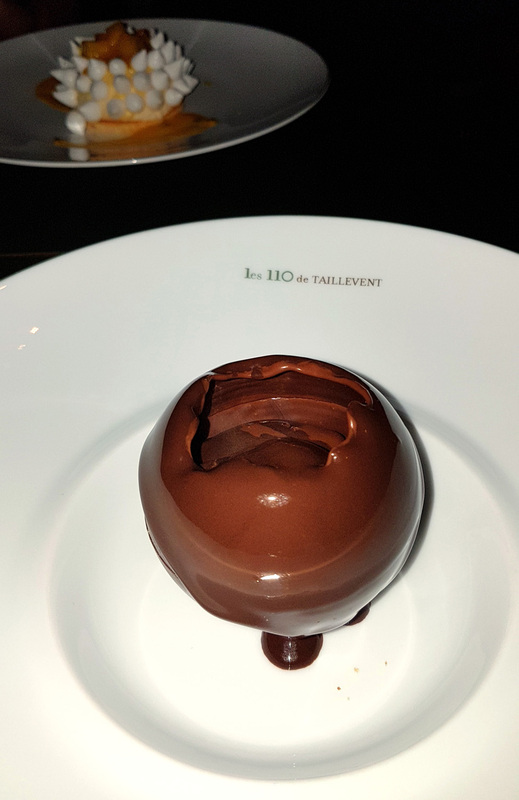 We chose the semi sensible option and went for the “Quintessence” Menu priced at 198 Euros in order to get a true reflection of what Taillevent Paris was all about. 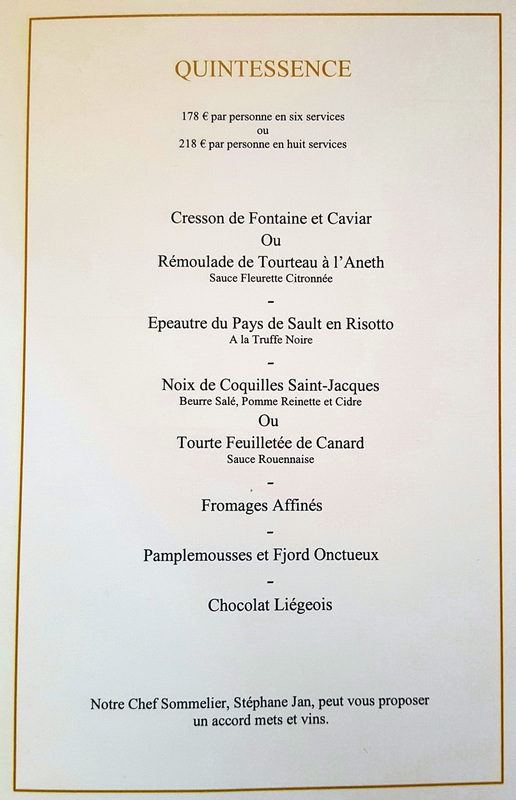 Almost 200 Euros for a high end multi course meal may sound extremely expensive but when compared to the likes of Guy Savoy (395 Euros) and Alain Passard (400 Euros for a vegetable menu) it`s not that bad after all. 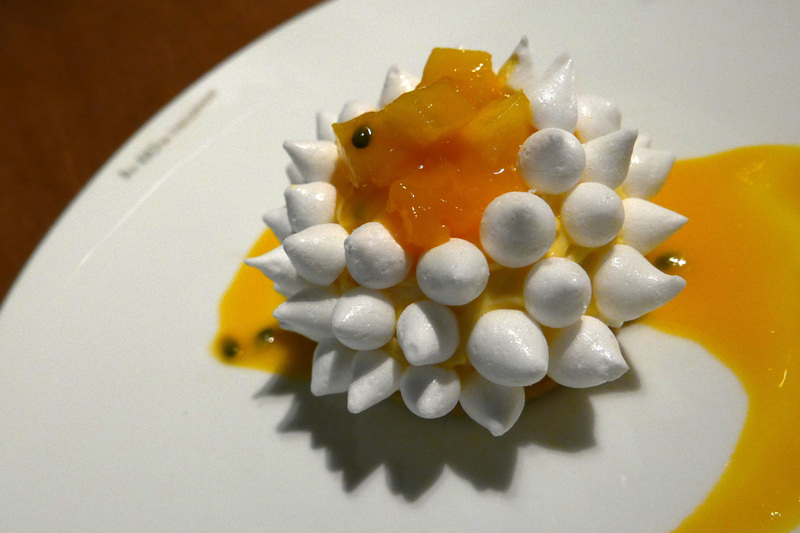 Have a look at the food we were served , I won`t go into detail as It simply speaks for itself. 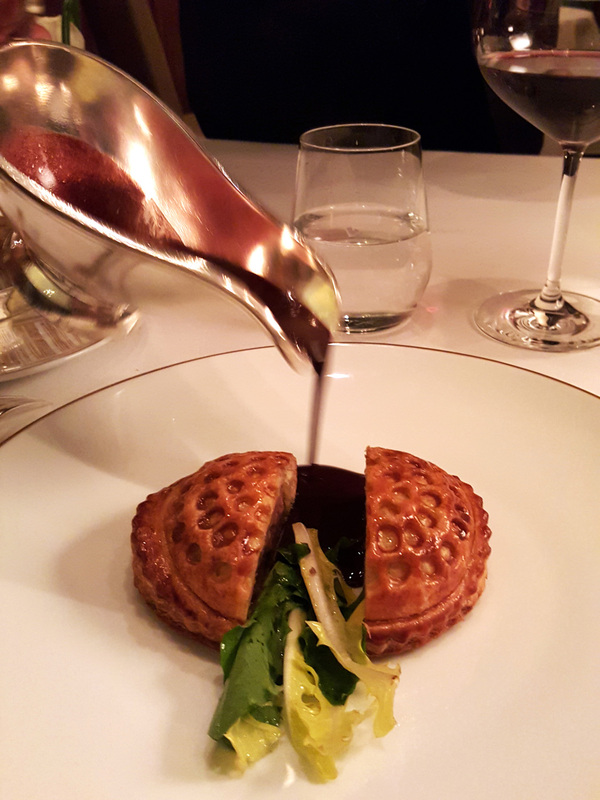 It`s visually beautiful , highlights the craft of the classicly trained Parisian chef where pure skill just shines through. It`s just simply “me on a plate”. 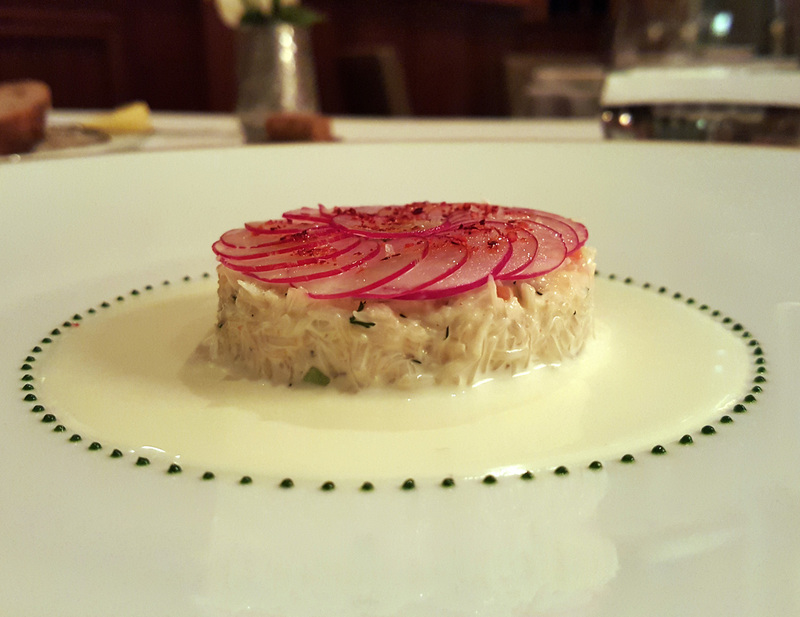 Full bodied food , powerful flavours and tip top fresh ingredients….I`m heading straight there to eat again as soon as I return to Paris. 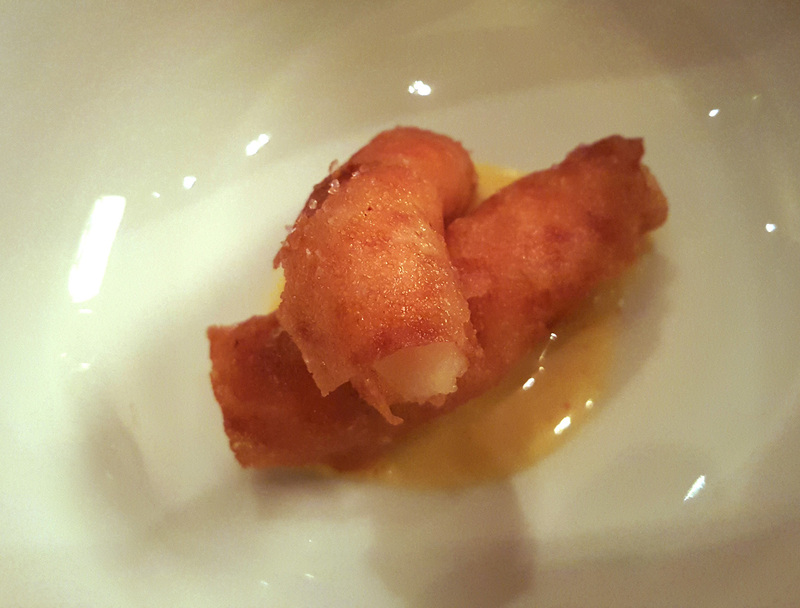 Deep fried Langoustine in a crispy coating with a sweet tasting fruit sauce dip. 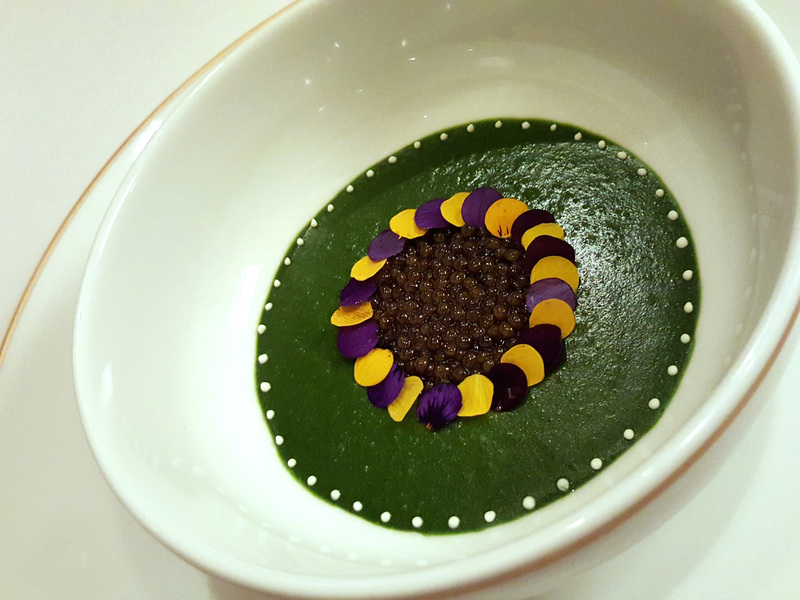 A fine Puree of Watercress with a tasting of Caviar and fresh flower petals. 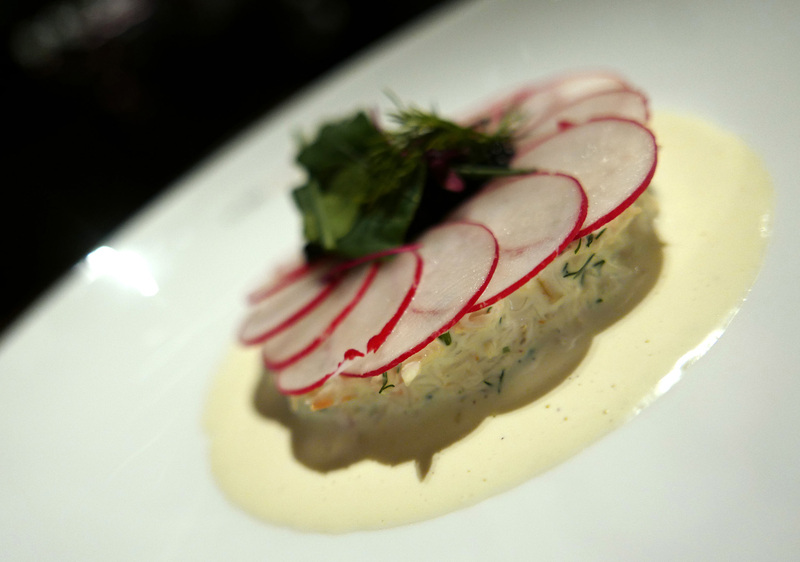 Finely slices slivers of fresh Radish topped a Lemony Remoulade of Crab meat. Attention to detail was amazing. 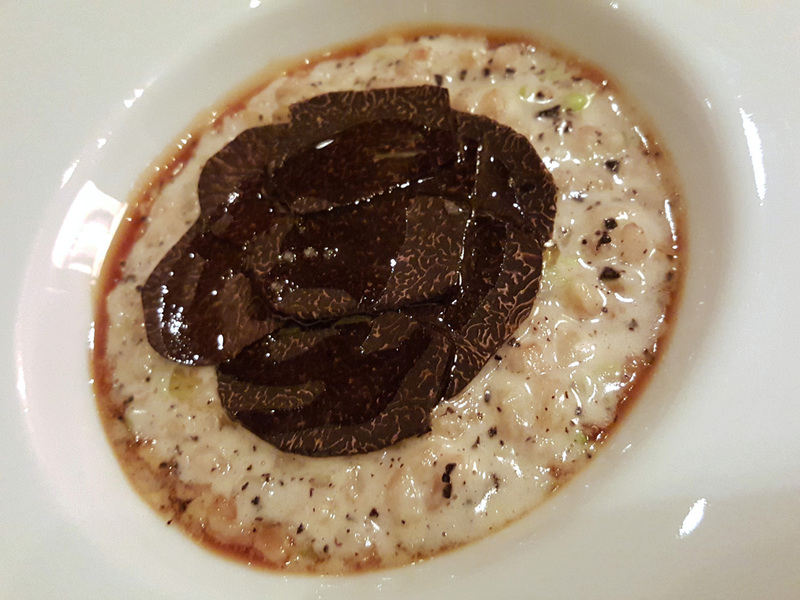 A Risotto of Spelt grain , topped with shavings of Black Truffle and a Morel reduction …..heaven on a plate. 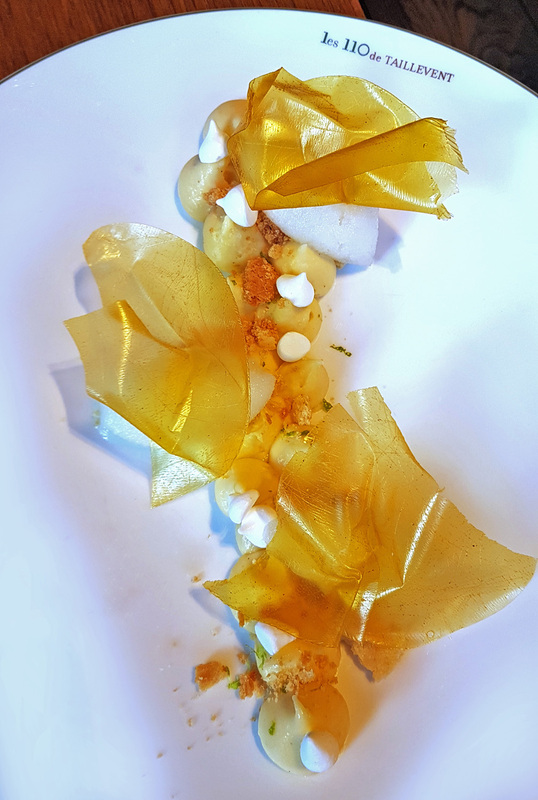 Scallops with fresh and dried Apple. 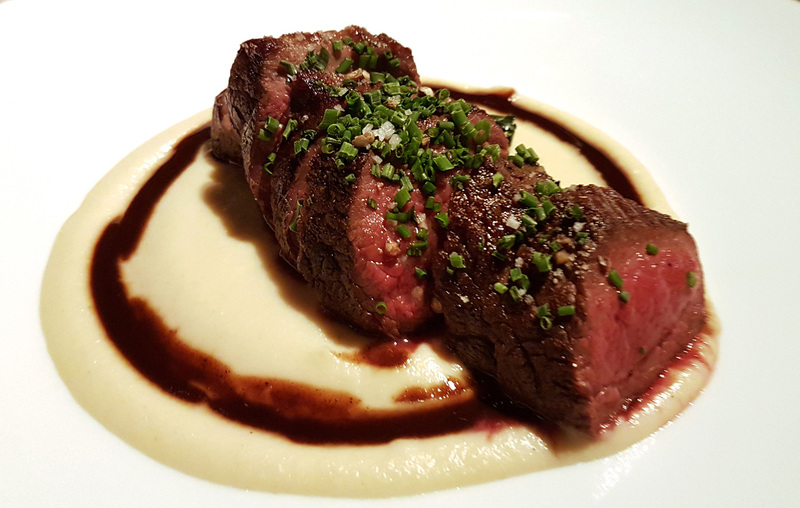 Served with an Apple Cider sauce. 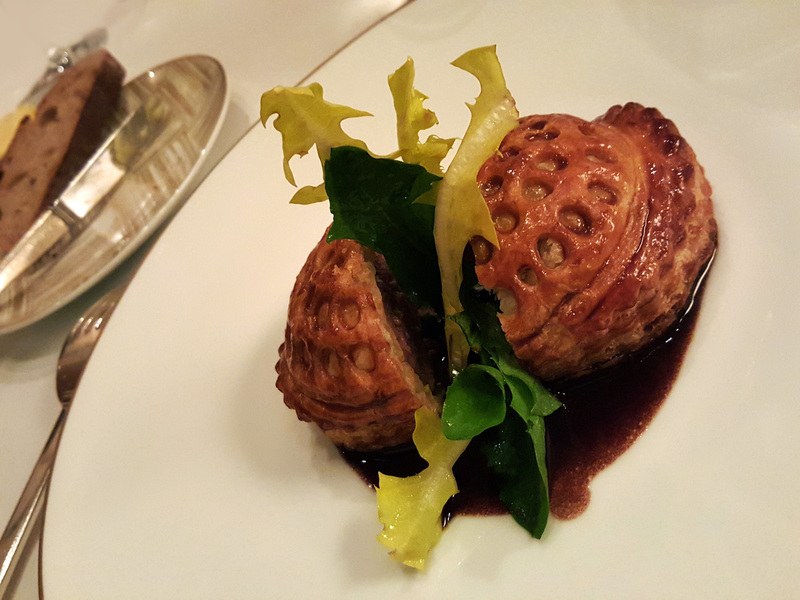 Duck Pie containing Duck meat , Bone Marrow , Duck Liver and Red wine with Duck jus and Rouennaise sauce. 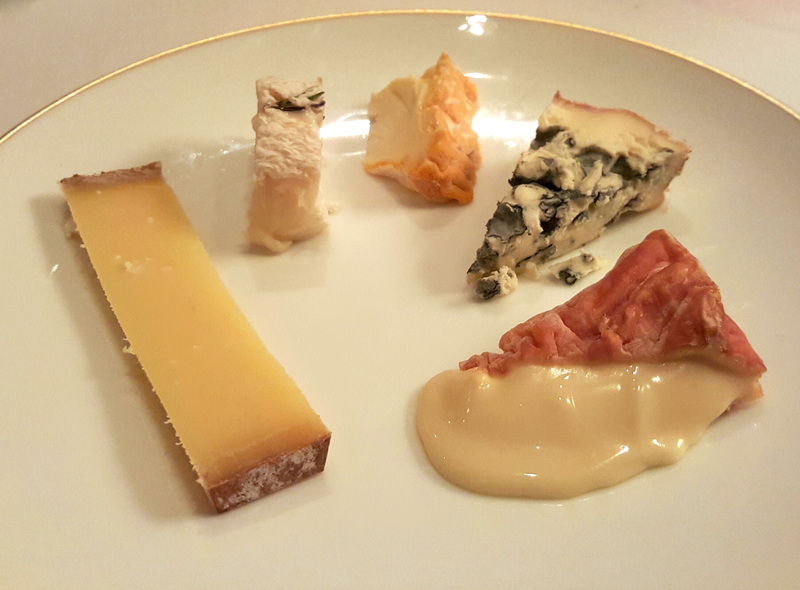 Does a Cheese selection get any better than this…..anywhwere , ever ? 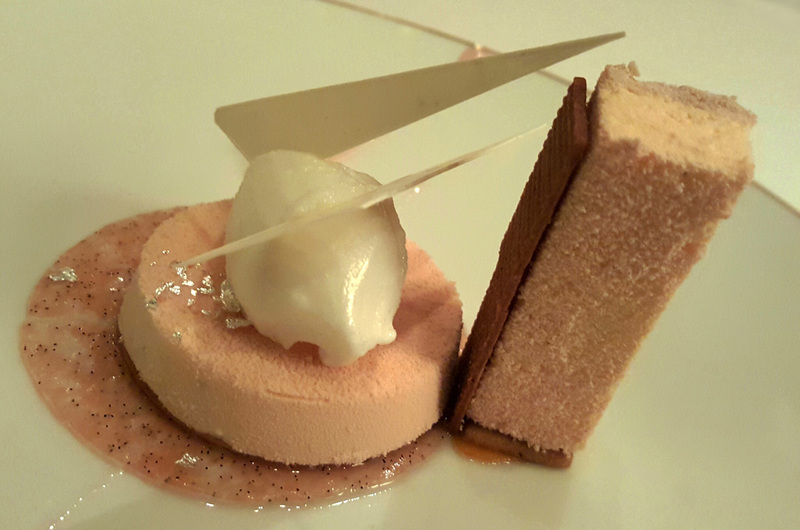 Cheesecake , Pink Grapefruit and Milk Sorbet. 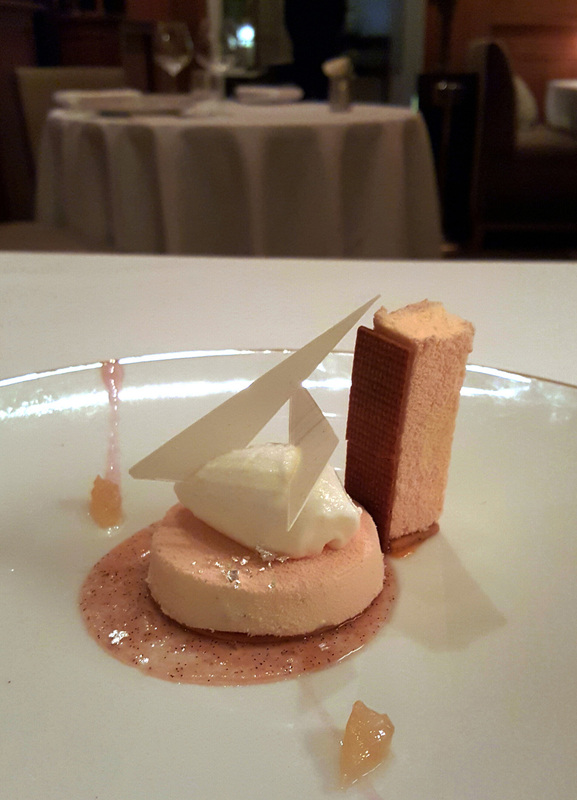 Chocolate Mousse with crisp Caramel….. a bit of a let down after such a grand meal. 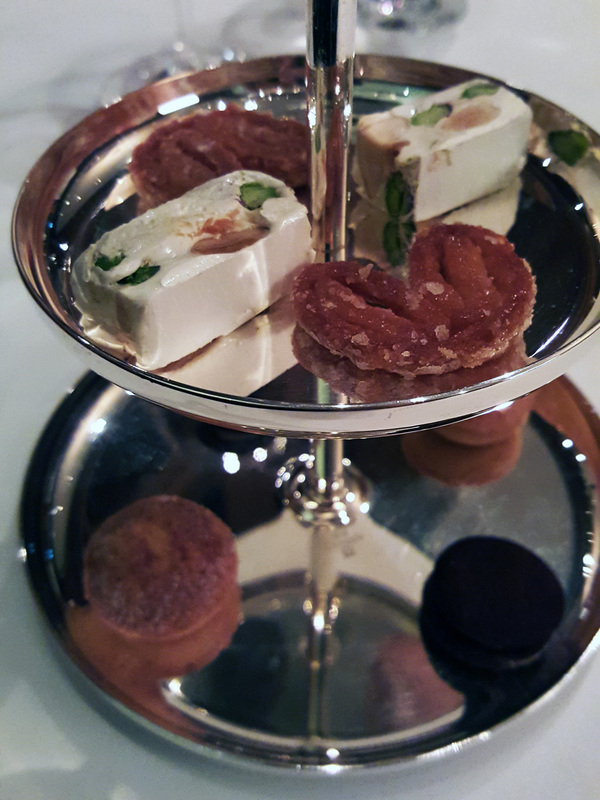 A little selection of classic Petits fours and a complimentary glass of Taillevent house Cognac…. Nice. 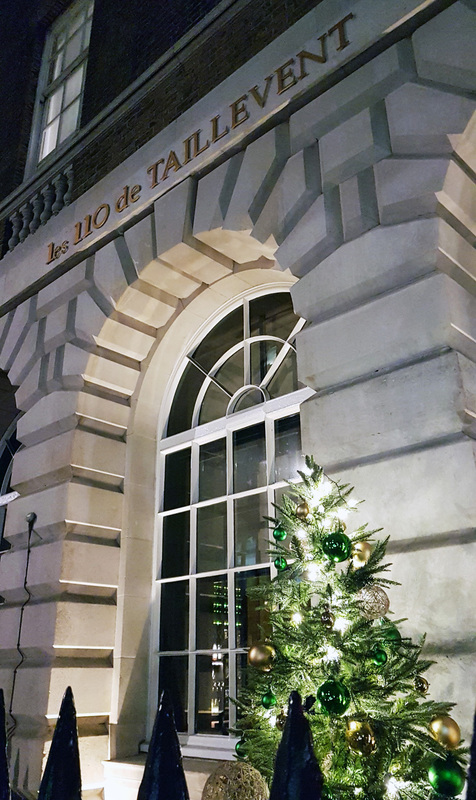 Meanwhile , closer to home we have Taillevents little sister restaurant `110 Taillevent` just off Oxford street in London. Straight away the one thing that jumps out at me is the total lack of publicity this place gets. 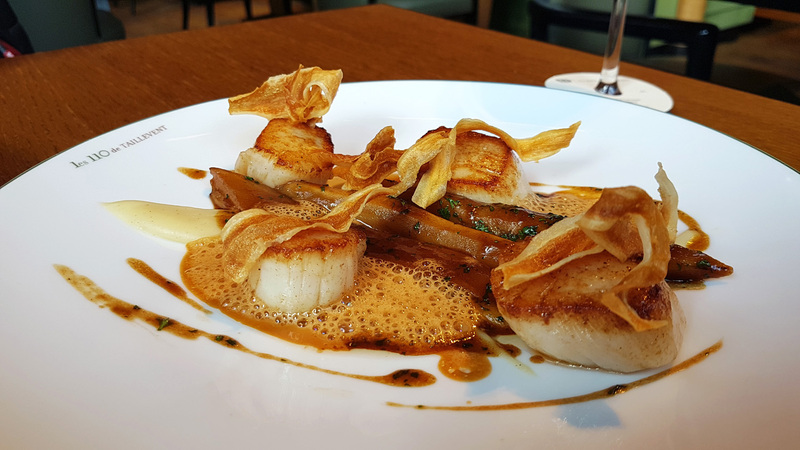 The restaurant is bang smack in the centre of London, serving superb food and yet it just isn`t on the culinary map at all. 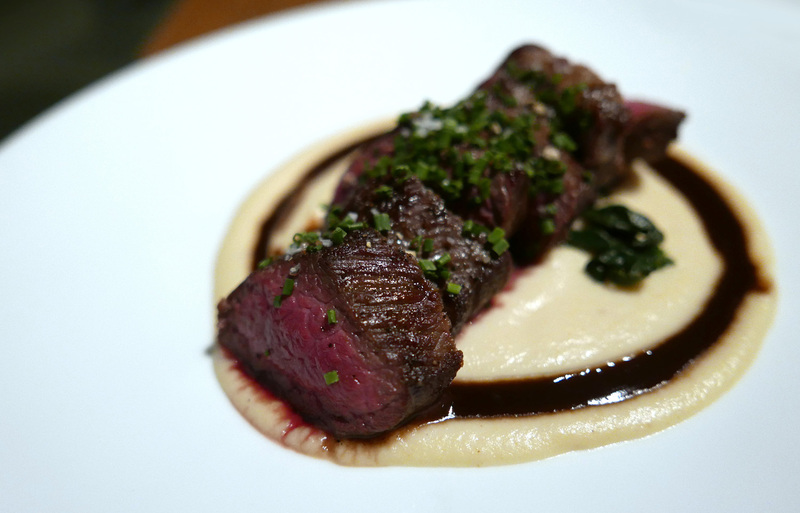 The menus here change regularly and carry that difficult task of “what do i order” ? The choice is so good that I just had to order 4 starters to arrive course by course. 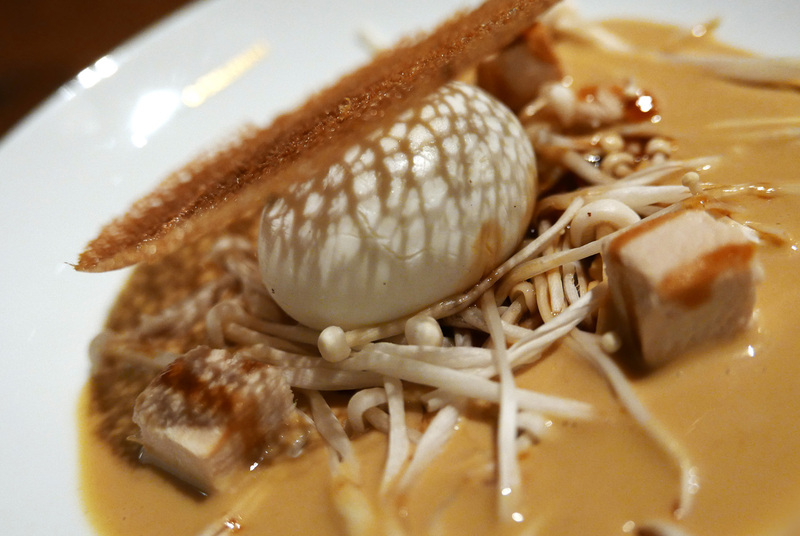 I created my own Tasting menu from the A.L.C. choices. Prices are really reasonable for the quality of food you`ll be eating here. 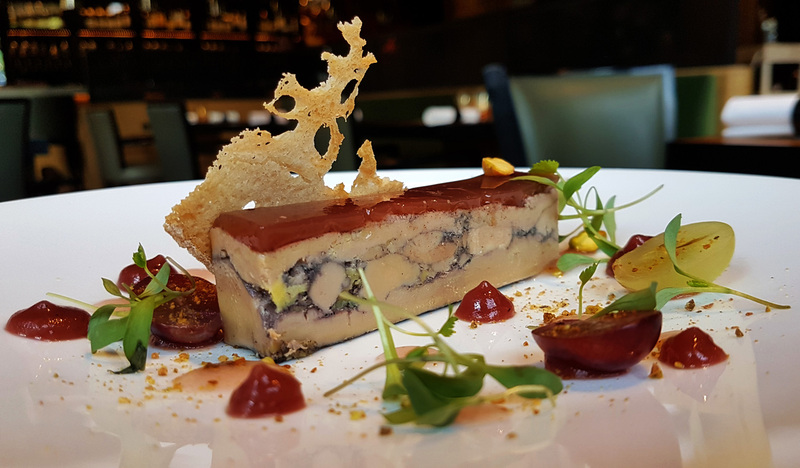 Foie Gras terrine starter £12 , Lobster main course £28 , Mallard and Foie gras game pie £29 and Tournedos Rossini £32. 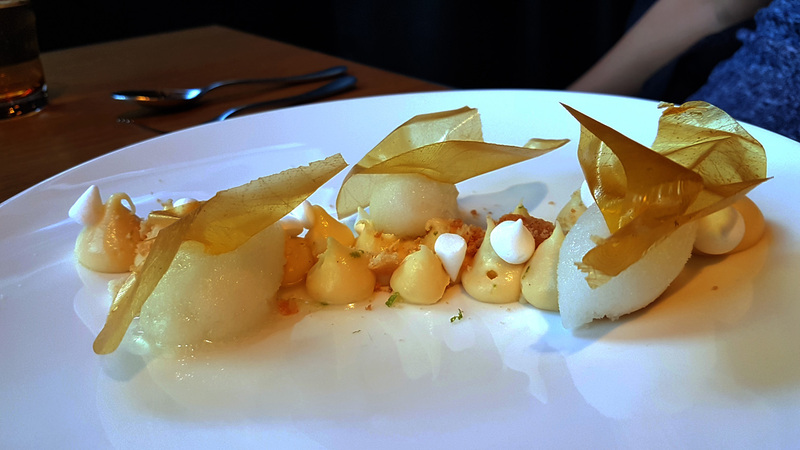 Desserts are priced between £7 and £11. 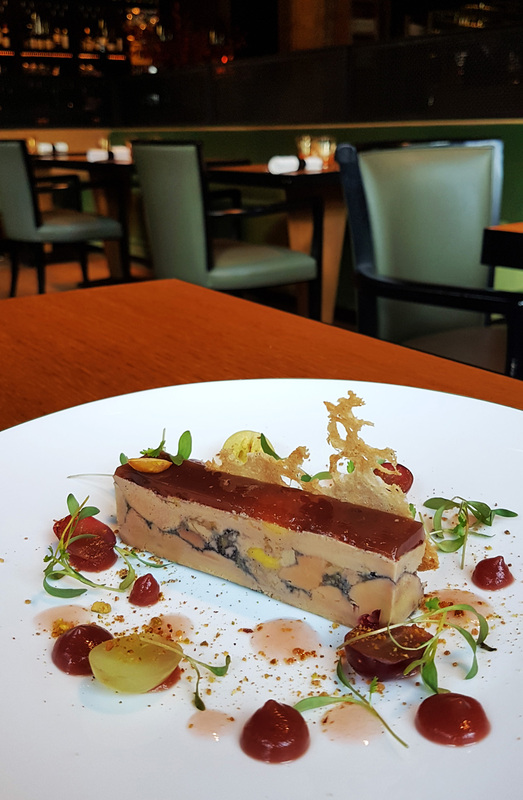 Chefs Tasting menu available at £57 for 6 courses which has got to be one of the cheapest Tasting menus of that quality in the capital. For those wanting lunch it’s a steal at £27 for 3 courses. The restaurant is full , loud and very busy on the weekends so my tip is to go for a weekday lunch and enjoy the ALC menu when Chef can offer his full attention. 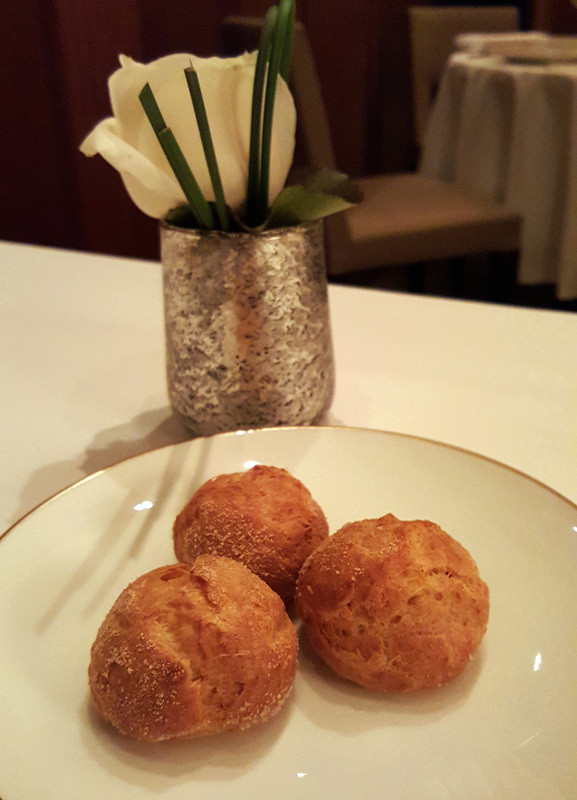 Taillevent Cheese Gougeres and a glass of bubbly to begin with. 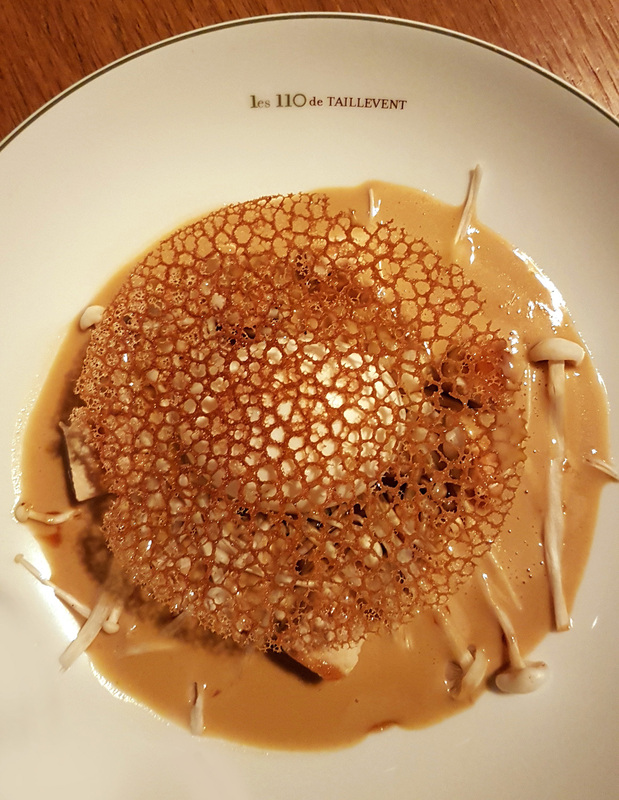 The head Chef at 110 Taillevent is Raphael Grima who comes from the kitchens of Michel Rostang , Gerard Besson and Alain Soliveres at Taillevent Paris. 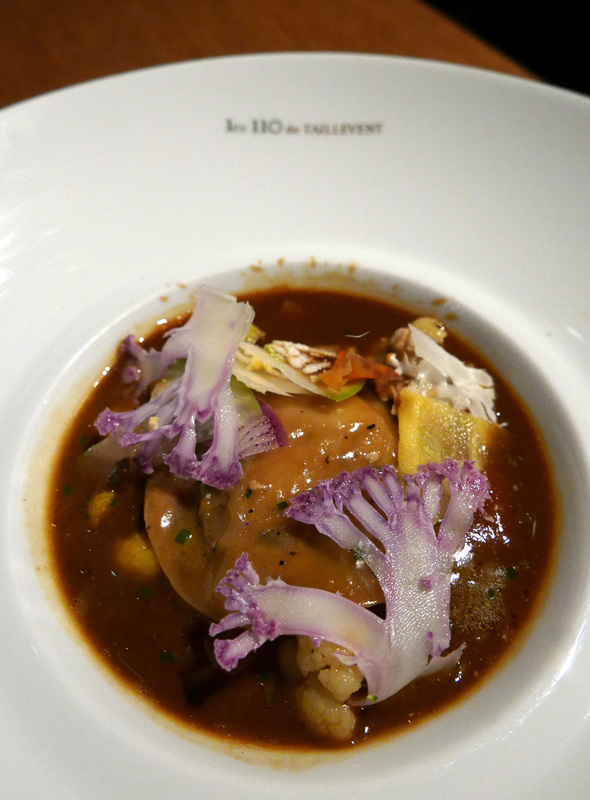 During my lunch visit I was extremely blessed to have 2 of the chefs from Taillevent Paris cooking for me that day. 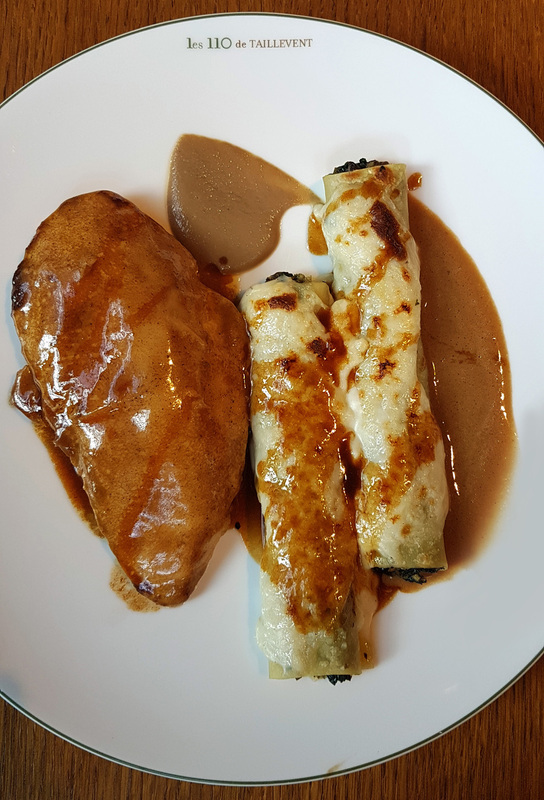 I looked at the menu and had absolutely no choice but to order the Yellow Chicken with wild mushrooms and a creamy Foie Gras sauce (£26) My eyes closed and I drifted off into foodie heaven with every mouthful of food that I ate. 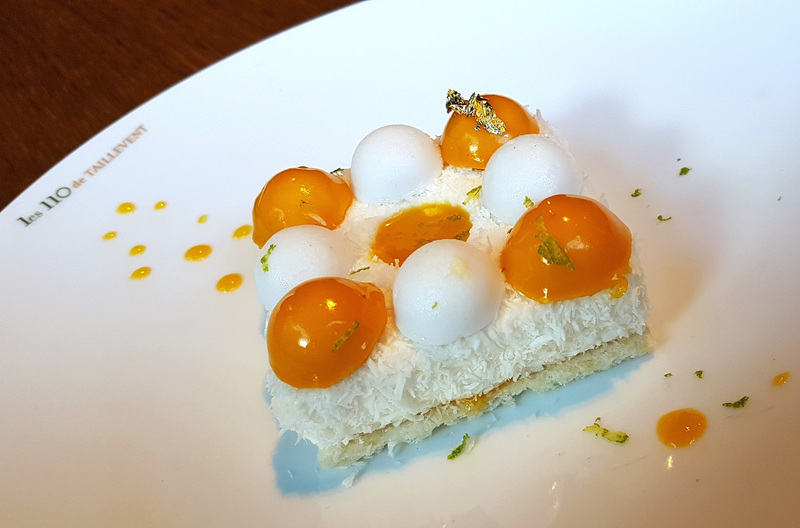 Head and shoulders it was one of the best courses of food in 2017. 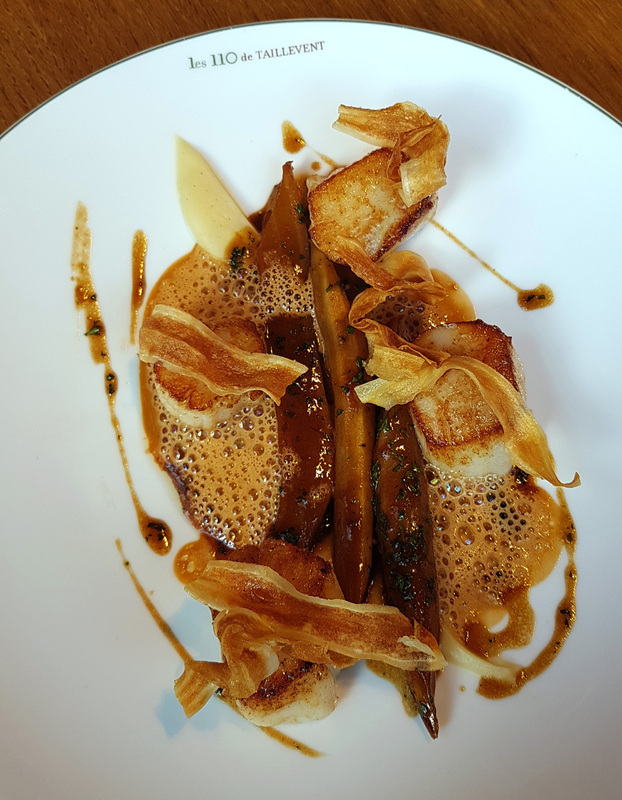 The cooking here at 110 Taillevent London is simplified and toned down dishes from the repertoire of the Paris Mothership. Typically classic French but with modern styling and make up. 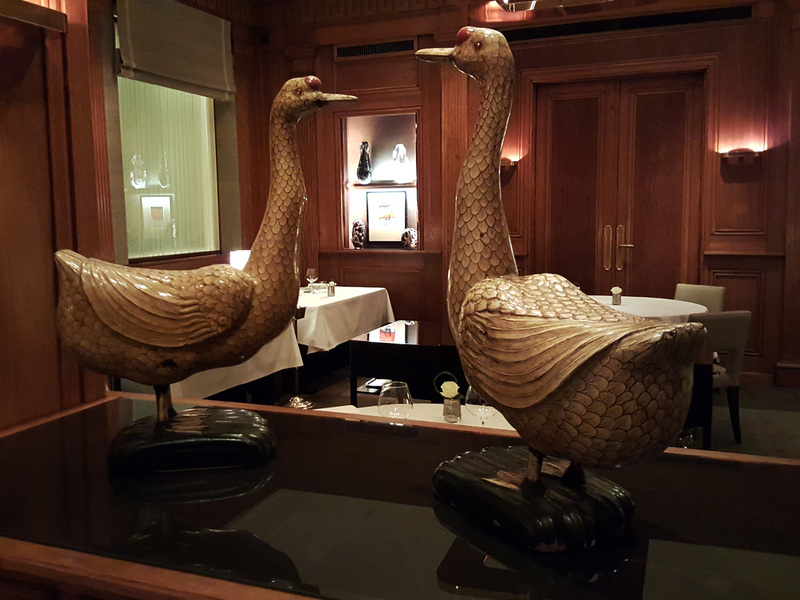 The restaurant actually came to my attention after seeing a superb looking duo of Lobster course on the Londoneater food blog. A 2 part main course dish both of which looked so impressive that I actually booked and arranged a trip to London the same day, just to have that £28 Lobster dish . Here`s the Shellfish in its two servings. 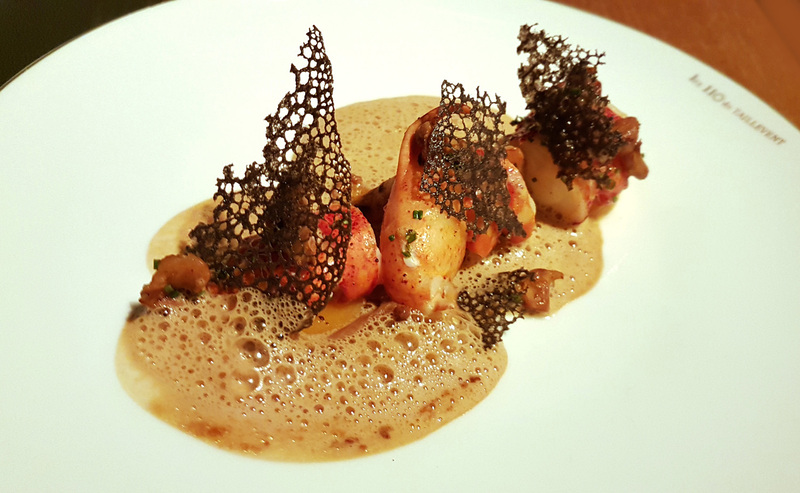 Part 1 is the roasted Breton Blue Lobster , the tail and claw meat are scented with Tarragon and topped with Chanterelles and a fine Squid ink lattice / tuille. 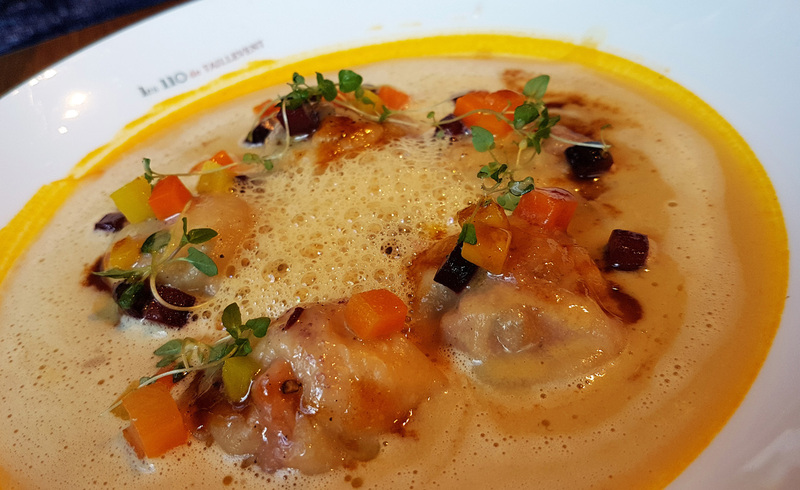 The second part of the Lobster arrives as a Ravioli of the Lobster knuckle and Spinach sat in a very rich Shellfish / Bouillabaise style of creamy broth. 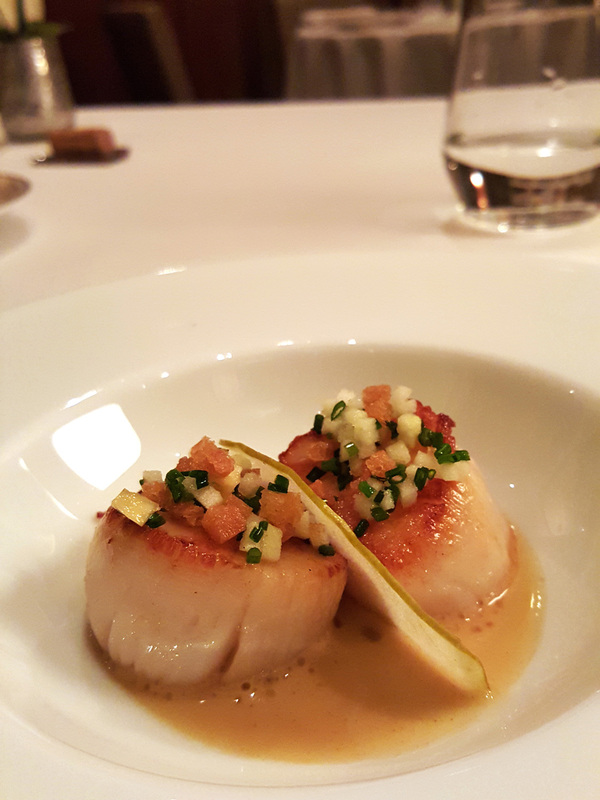 Scallops , Parsnip , Salsify. I won`t talk too much about the Wine as i`m certainly no expert on the subject. 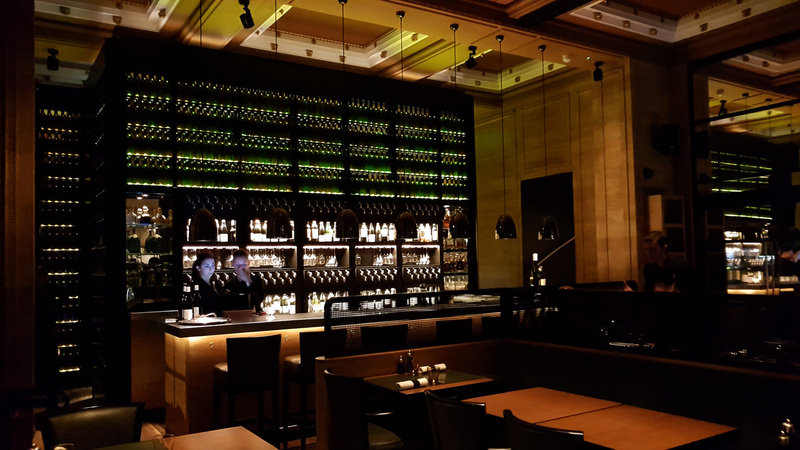 There`s Wine here to suit every palate and price range. Every course on the A.L.C. menu comes with a choice of 4 different matched wines. These range from a good cheap option to a fine wine option. The Wines come by the glass and are priced <£8 / <£14 / <£20 / >£20 . Each one of those glasses is matched to the relevant course. 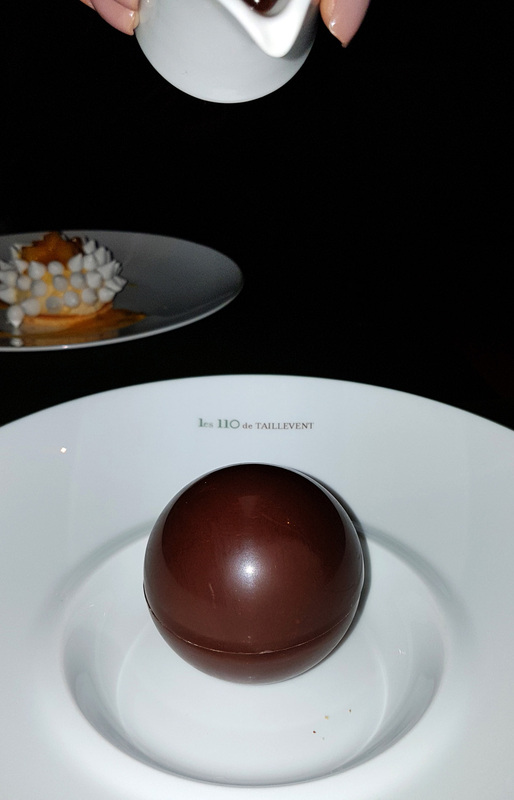 Too add to this they also come with the option of different glass sizes for those wanting just a few sips of a fine quality wine with their food. 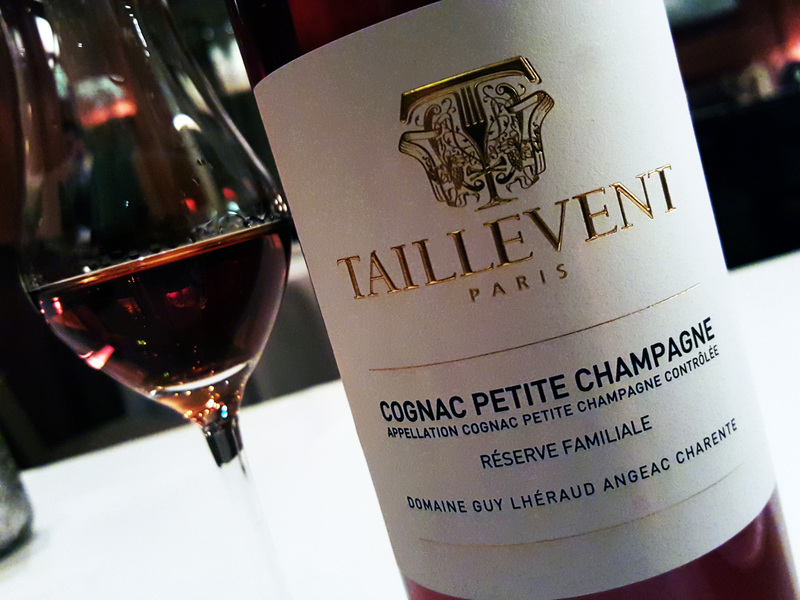 It really is an amazing wine concept at 100 Taillevent. 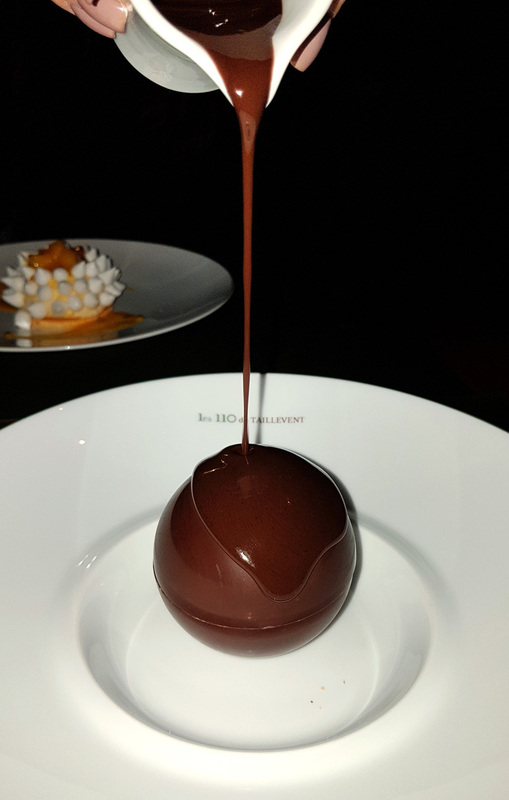 Previous Post Alain Ducasse , LONDON. 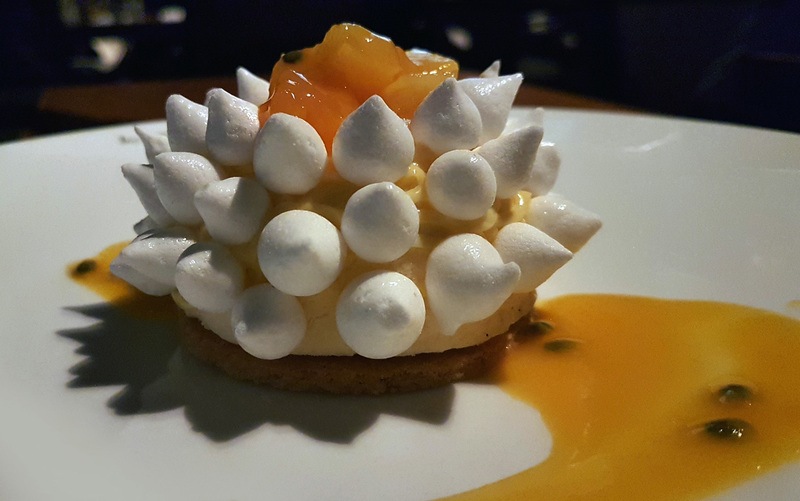 Next Post Castle Dairy , Kendal – Tucked away cooking wonderful food.